Flip-flops are something of required footwear here in California. Endless summers and casual settings mean if you don’t own a pair, you either don’t mind hot feet, or you’re stubborn as heck. Add the fact that we’ve got outdoors galore and the humble flip-flip is an absolutely necessity. 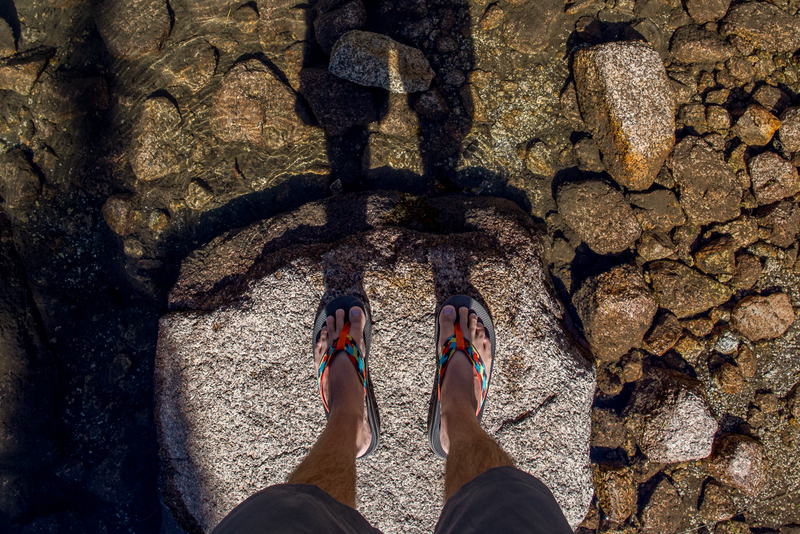 Can I just say, I love my Chaco Flip Ecotread flip-flops! I’m one of those really picky types that has to have the right pair of shoes, especially when it comes to flip-flops. When my feet are out in the open and vulnerable to all of the elements, the last thing I want to do is have to worry about the shoes I put on them. Usually, they don’t stay on my feet well enough, they are the wrong texture and bug me, or, they rub my delicate in-between-toe areas the wrong way; something that could ruin anyone’s day. But, this pair of flippers keeps my feet comfortable and my mind free of worry, regardless of the task. The Ecotreads stick to my feet like close-toed-shoes and I was surprised taking them up the mountain on a backpacking trip for that very fact. 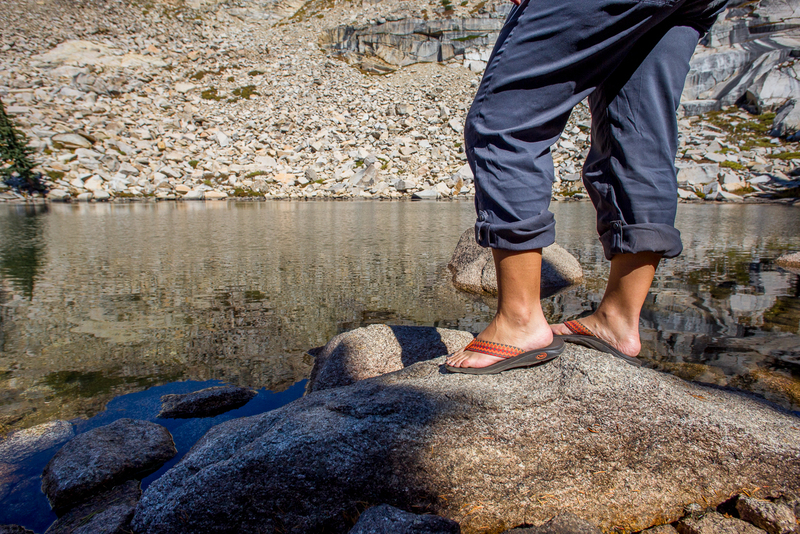 It was easy to attach them to my pack and have a comfortable, sturdy platform for walking around on hard granite rocks and gravel. They were basically my only means of escaping my sweaty hiking shoes and they performed like champs. I love the Ecotreads for their ability to switch from outdoorsy to street-wear in an instant. They are an easy pair to slip on when I’m running out the door for a casual night out or even a trip to the river. They’re sturdy enough to take on the outdoors and so versatile that I can wear them for pretty much anything, except a black tie event, of course. Truth be told I usually go for sandals that are generally lighter weight with a lot more cushion. I was extremely surprised with the EcoTread’s hardish rubber sole. While I expected an uncomfortable walking surface, the design of these actually makes them as comfy as a gushier sandal. I’m also positive the heavier weight material will hold up a lot better over time than my previous foam flippers. These have already taken a bit of a beating; even on hard surfaces, they do great and I’m barely seeing signs of wear. One downside I can find is that the black soles of the Arcade design tend to pick up a dusty look quickly. A minor squabble, especially since dirt and wear and tear become a badge of honor in most outdoor circuits. In fact I certainly won’t mind when the bright colors of Arcade tone down from age (if they ever do). Don’t skip these over if you on the lookout for a rugged pair of sandals that will last you far longer than the average pair, especially with them being on sale in select colors. 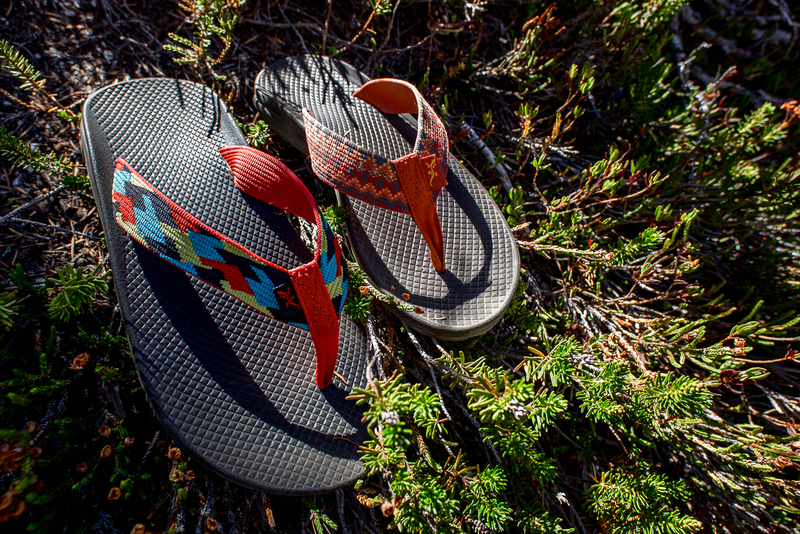 The Chaco Flip EcoTread (Men’s / Women’s) does make out to be a great investment, even with the slightly higher than average price tag. 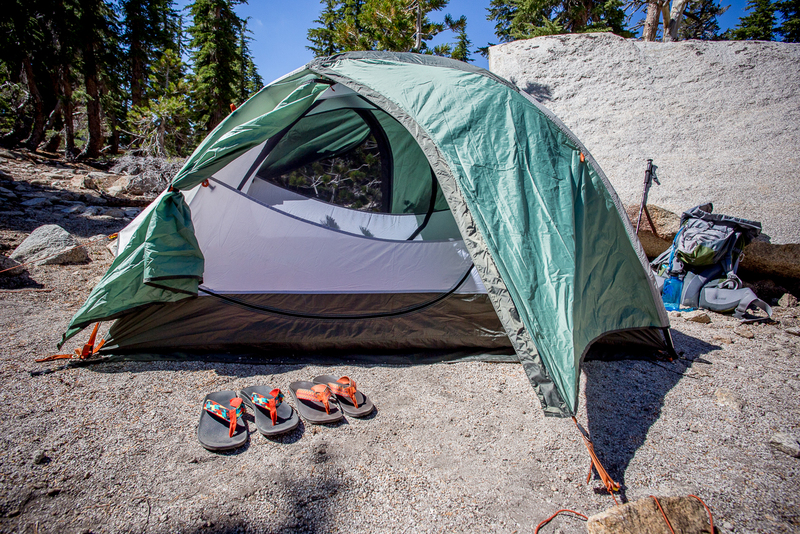 Disclosure: I received this product from Chaco Footwear for the purposes of review. All opinions are my own and truthful.